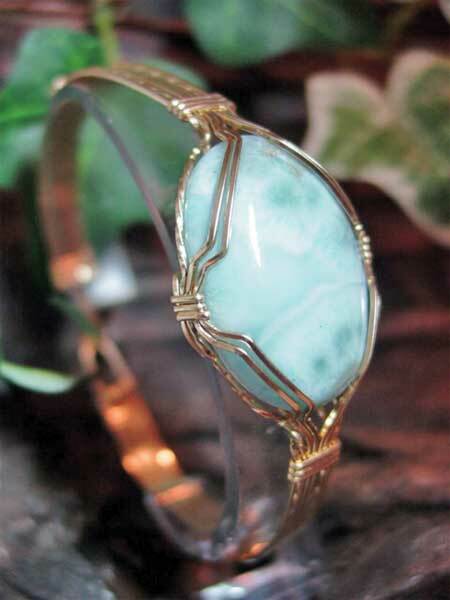 Established in 2001, Wrap It Up Jewelry Designs are original, one-of-a-kind wire wrap jewelry creations, individually handcrafted with fine metals and gems by Jeff and Mary Tullock. 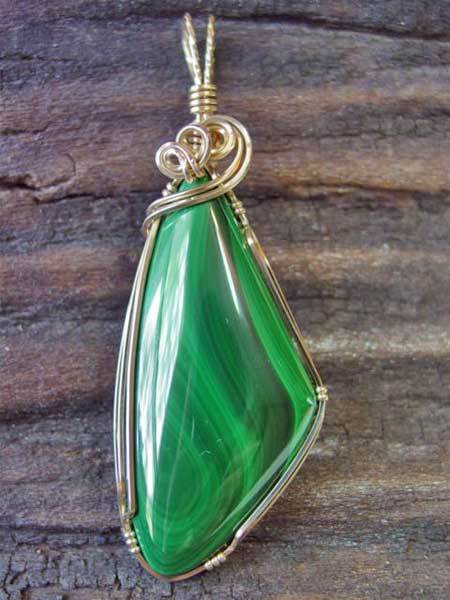 All gemstones, cabochons, and dichroic art glass are hand selected to ensure the highest quality. 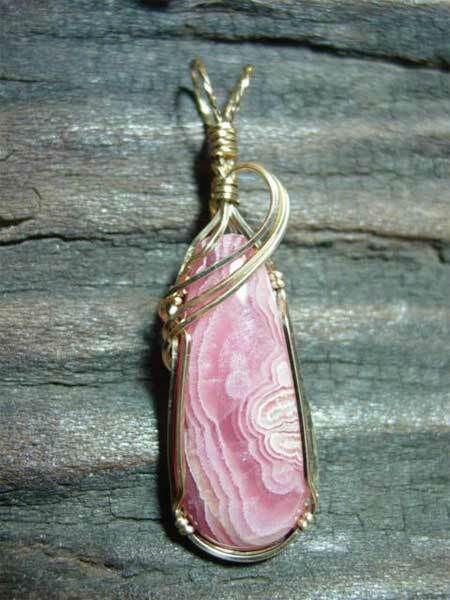 Both graduates of The William Holland School of the Lapidary Arts, Jeff and Mary hand pick and cut each of the stones and cabochons used to make this very unique wire wrap jewelry. Each piece is made with special care and attention to detail, and is guaranteed for life against defects in materials and workmanship. 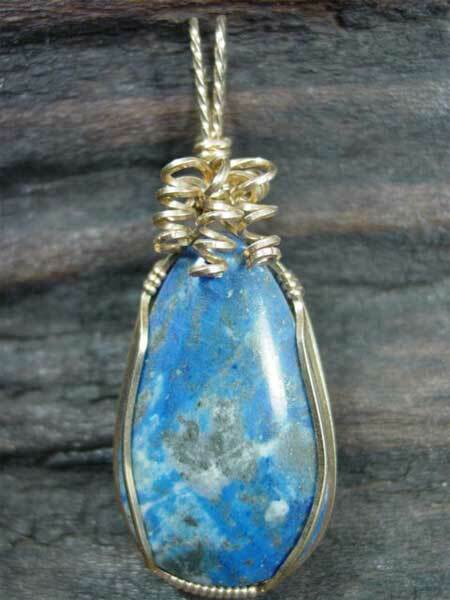 All of our designs are created using either solid 14k gold, 14k gold-filled (rolled gold) or sterling silver wire. 14k gold-filled is a layer of 14k gold mechanically bonded under heat and pressure to one or more surfaces of supporting base metal, then rolled or drawn to a given thickness. 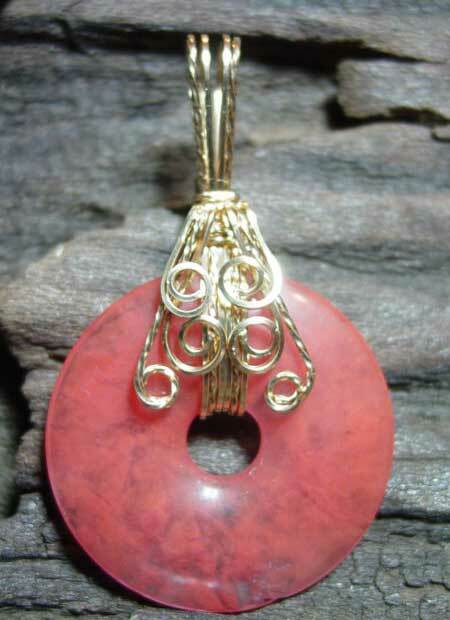 The finished product thus has a surface layer of gold of the appropriate karatage, which is very thick compared to gold plate or the heaviest electroplate (or gold plated) material. Gold-Filled items are generally considered life-time products, and the gold layer will not wear off, as it will in electroplated products. 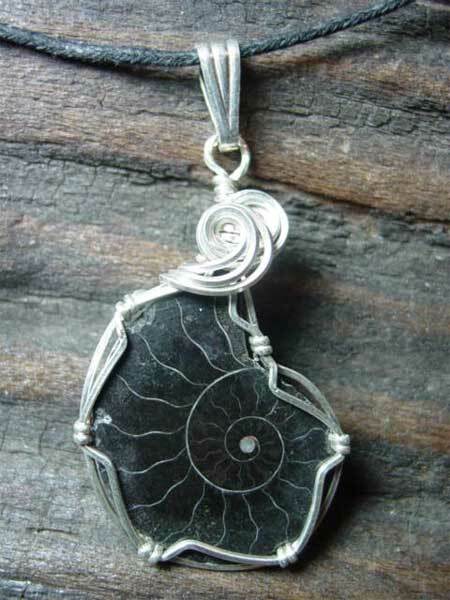 Sterling silver is composed of 925 parts of pure silver and 75 parts alloy, usually copper. 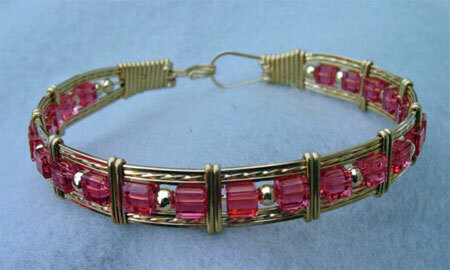 Wrap It Up Jewelry was originally formed in 2001 as Bead Happy jewelry designs by Jeff and Mary Tullock. In our Tennessee studio, we have created many different styles and works of art, yes art. 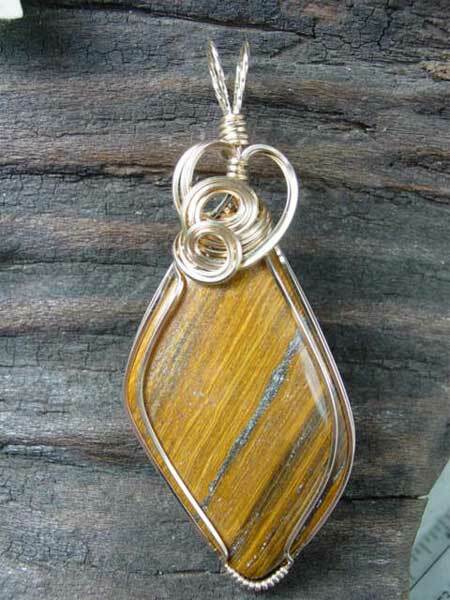 Each piece of or wire wrap jewelry is artwork you can wear. 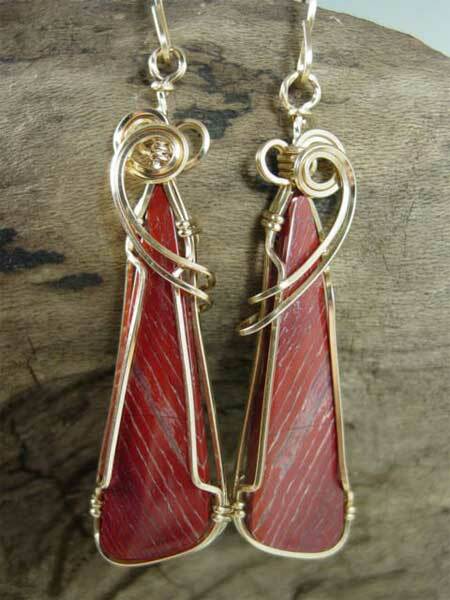 The finest quality Wire Wrap Jewelry by Jeff and Mary Tullock, We hand cut our own Cabochons and gem stones then wrap them in 14kt rolled gold or sterling silver.